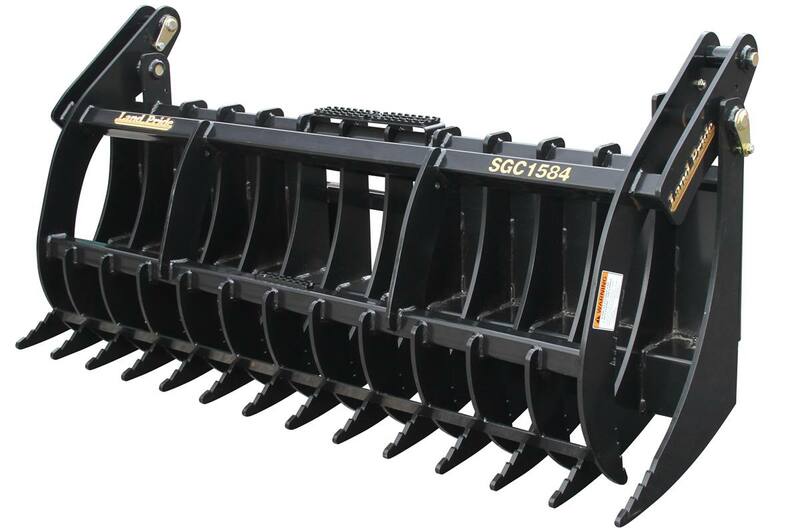 The SGC15 Series Claw Grapple makes quick work of large jobs, and can be used to rake, dig, and move rocks, trees, brush, and construction debris without picking up dirt. The compact design minimizes weight while preserving lift capacity. Greasable hardened bushings at all pivot locations: Bushings can be replaced if needed. 1-1/4" Pivot pins: Large diameter pins for extra strength. Dual hydraulic cylinders: Allows upper jaw to grip the material better. Grade 80 teeth material: More than double the strength of mild steel. Closed Height: 38 15/16 in. Working Length of Teeth: 14 3/4 in.